I’m all about easy right now. Until I can get off this damn couch, everything is going to take the minimum of effort. And given it’s still quite hot, most of these dishes are good for summery eves. Back to the couch I go. Thank god for Coles online. baked spinach and feta penne… GET IN MAH BELLEH. I'm so, SO excited about the beet salad! love the idea of frosted brownies! yum!! H there Veggie Mama, I love your blog, especially as a new vegetarian! 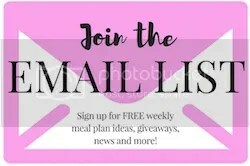 I really love the meal plans, but would it be possible to get a few recipies to go with the plans?